Australian made using a 175gsm 100% polycotton blend fabric with a high filament fibre, this polo shirt will keep it’s fresh new look for longer. The feel of brushed cotton on the inside makes it so comfortable that you will want to wear it everyday. Available in black as part of our core range, so choose one of 12 colours for the insignia. Also gunmetal with a range of 12 colours for the insignia. 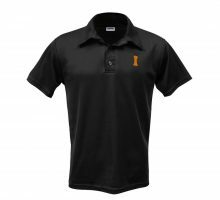 Australian made using a 175gsm 100% polycotton blend fabric with a high filament fibre, this men’s polo shirt will keep it’s fresh new look for longer. 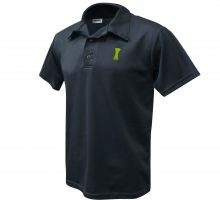 The black polo is available in the full range of 12 colours for the insignia. 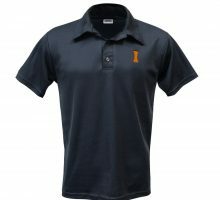 Click here to view our gunmetal polo. Australian made using a 175gsm 100% polycotton blend fabric with a high filament fibre, this men’s polo shirt will keep it’s fresh new look for longer. The gunmetal polo is now available in the full range of 12 colours for the insignia. 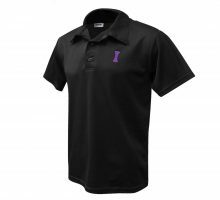 Click here to view our black polo.